But when I found out that rennet, used in aging cheese, happens to be the lining of a cow’s stomach I flipped out, and decided to do some research on cheese in case there were any more Halloween-like surprises. After a surprisingly long and wide search for one of the best and most ethical cheese experts in town, I finally found and interviewed Debra-Amrein Boyes, renowned cheesemaker, author and co-founder of Farm House Natural Cheeses in BC. I hope that sharing my process and interview will help your decision-making no matter where you are in the world. For example, whether you’re in Timbuctoo or Switzerland, it is important to try and find out how happy and loved the animals are, which will influence the quality and vibration of the cheese and ultimately your health. At Farm House, as you can see, the cows and goats are so cute and get lots of human love. 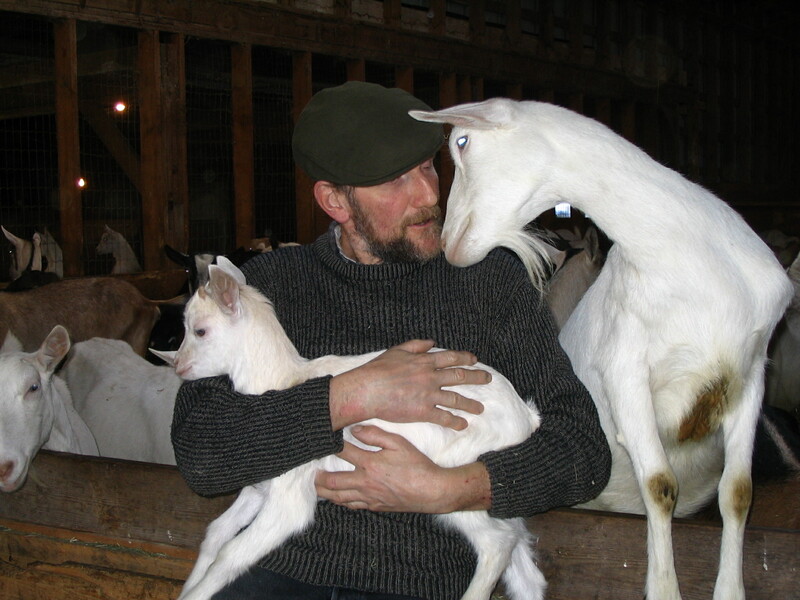 They are toxin free, feed on grass or organic hay all year long and produce top quality milk – the key ingredient to good cheese according to the Boyes’. No wonder I couldn’t get enough of their first class Gouda Goat cheese. Debra is one of only twelve persons in Western Canada and US who has been inducted into the prestigious French Cheese Guild, which recognizes those who protect and continue the tradition of cheesemaking around the world. What is the problem with commercialized 1) dairy and 2) vegan cheese? 1) Who says there is a “problem” with commercialized dairy products? Let’s say there are advantages to artisan products because they undergo less processing than in commercial dairies. 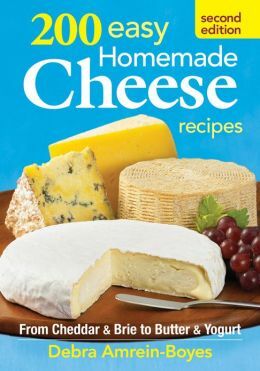 2) Vegan cheese: since there are no animal products involved, it is not “cheese” at all but rather a processed product made to simulate real cheese. How is your cheese different? Artisan cheese is made from the fresh whole milk as it comes from the cow, with no alterations except for the removal of some cream for certain cheeses. The milk is different every day, depending on the season and stage of lactation of the animals. The artisan cheesemaking is part art and part science. The gentle hand methods prevent breakdown of the milk components, therefore keeping the quality of the final product high. Are there any health benefits to having natural cheese like yours? Cheese with no additives and using natural milk that has not undergone intensive processing makes for a whole food, which I believe we can agree is a healthy choice. 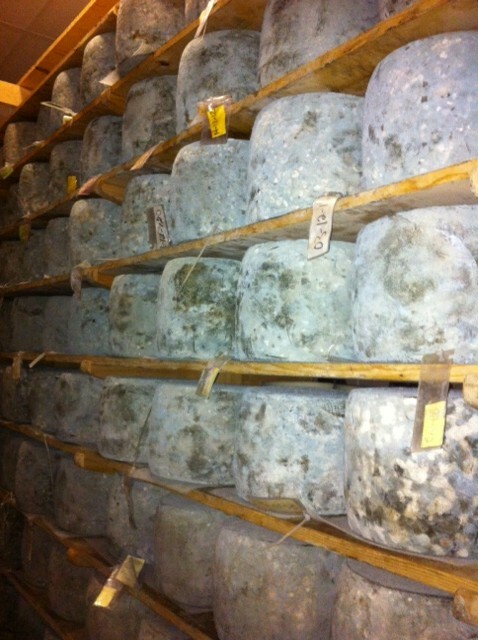 I understand that rennet (the lining of a cow’s stomach) is used in cheese preparation. That doesn’t sound appealing. What is the purpose of rennet in cheese and do you use vegetable rennet? The stomach of lactating mammals contain enzymes that coagulate milk. This is so the babies can actually access the food value of the milk, rather than have it simply pass through their digestive system. These natural enzymes are the best choice for aging cheese. There are vegetarian coagulants which are derived from various means, either from cloning the gene from the cow, or by fermentation of a certain type of mould, then extracting and purifying the enzyme produced. This type of rennet does not perform as well over time as does natural rennet. Also, there are some plants (thistle family) whose juices can thicken milk, but these are not as effective. What is the difference between cow, goat and sheep cheese? The difference in the cheese comes from the difference in the milk. Basically all contain similar components, though the fat globules in goat’s milk are smaller and more delicate and therefore more easily digested for some people. Sheep’s milk is quite high in fat and has higher percentage of protein than either cow or goat’s milk.